Find Your Ultimate Beachside Home Today From Only $217,000! There are very few opportunities for affordable beachside living on the doorstep of Bribie Island, yet Sandstone Lakes offers just that. All lots in this latest release are level and builder friendly sized from 420sqm to 682sqm, with prices starting from $217,000. A number of lots capture the cool sea breezes all year long! A range of tailored home and land packages are also available from only $360,000. Sandstone Lakes is located just minutes from Pumicestone Passage and Bribie Island’s marine parks and beaches. The estate and the surrounding area offers unbelievable natural beauty, along with world class amenities including the Sandstone Point Hotel. With final stages now selling this is an opportunity that you do not want to miss out on! Sandstone Lakes is truly Ningi’s hidden gem! Enquire now to find your dream home. The Sanctuary at Coomera Retreat is a boutique lifestyle opportunity comprising of just 15 town homes all architecturally designed to embrace the unique position. The Sanctuary town homes have been designed to surpass all the standards of modern day living. With a focus on architecture, these beautiful homes offer a sense of light and space, with expansive rooms throughout. With high ceilings throughout to let natural light inside and modern crisp finishes creating a sense of space and luxury, this open plan design has been configured to maximize the living areas, with a seamless flow between the indoor and outdoor. Choose from four floorplans offering either three or four bedrooms. All homes feature 2.5 bath as well as a double car garage, with prices starting from $435,000. The Sanctuary offers a range of shops all in close proximity including the Coomera Town Centre, restaurants and quality private and public schools. Discover your Gold Coast Sanctuary Today! Don’t Miss Out on the Last Chance to Become a Coomera Waters Resident! Coomera Waters is one of the most exclusive addresses on the Gold Coast and is nearly sold out! This latest release is only 200 metres from the boat ramp on Coomera River and a short walk to the Marina Village. The lots are sized from 450sqm to 700sqm and priced from $300,000 to $360,000. We have a range of 4 bedroom full turnkey home and land packages available for you to choose from. All packages are designed by a number of well-known, quality builders with pricing starting from just $489,000. Coomera Waters is relaxed residential living at its best, offering a 17 hectare harbour and 20kms of nature rich walking trails. All daily amenities, including the Marina Village precinct with a tavern, café, IGA, medical centre and commercial offices, are only a few minutes away. Experience a new level of living today at Coomera Waters! Rare, Fully Serviced Lots at River Oaks! We have saved the best for last at our premium riverside acreage estate, River Oaks. Find fully serviced, acreage lots with all the infrastructure expected of a high-quality estate, including high-speed NBN, underground power, town water and sewerage. The latest stage offers a range of lots from 2000sqm to 2585sqm, with prices starting from just $355,000! Fringed by the Logan River, this predominantly owner-occupier estate boasts incredible river views or views of the stunning parkland. 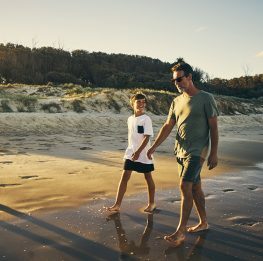 Residents can enjoy the peace and quiet of acreage living with the convenience of being only a few minutes from Logan Village’s town centre, a range of schools, only a short 30 minute drive to Brisbane and 45 minute drive to the Gold Coast. For more information on the amazing Home & Land Packages available, contact us today! The final stage is now selling at our Maroochy Rivers estate in the Sunshine Coast Hinterland. Only a handful of these large, spacious lots remain and are sized from 600sqm to 1000sqm. 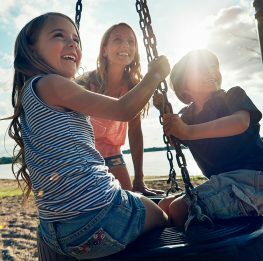 Build your dream family home on the Sunshine Coast with a range of house and land packages available starting from only $459,000. Set amongst the beauty of the South Maroochy River, Maroochy Rivers boasts incredible views and unbeatable peace and quiet. The large bushland lots provide the ideal place to escape the hustle and bustle of the city. All lifestyle amenities are just a short stroll away in Yandina’s town centre, and offers access to schools, public transport and the Bruce Highway for commuters. The stunning beaches of the Sunshine Coast are a short drive away, as is Noosa’s dining and lifestyle strip – Hasting Street. Don’t miss out on the final stage in Maroochy Rivers and find your Hinterland escape today! Jimboomba Woods – 2 acres from $269,000 with highspeed NBN connection. South Stradbroke Island Waters – Superb 925sqm waterfront land with own beach now reduced to $390,000 10 min by boat to Coomera Waters Marina. Only a handful remain. Coomera Waters – Final waterfront, canal release at Sovereign Lane from $550,000, direct access to Broadwater and c lose to the Coomera Marina Village – Only 3 waterfront lots remain! Coomera Quays – Large, level North facing 656m2 waterfront lot with pontoon discounted to $635,000 ONO for this month ONLY! Short walk to restaurants, IGA and tavern. Coomera Quays – Luxury 4 bed home + study house and land package on a large 656m2 waterfront lot includes pontoon and pool $885,500. Coomera Waters – Final release stage 28 available NOW, secure your lot from only $299,000 for 450sqm-750sqm lots – 25 lots sold already so don’t miss out! Gold Coast – FINAL RELEASE, exclusive acreage lots adjacent to parkland and close to schools and shopping from $390,000 for 800m2 only 4 lots remain! Springbrook Estate – 3000sqm up to over 1 acre overlooking parkland from $225,000. Hurry, limited number left! Pacific Cove –New 4 bedroom home on 560sqm for only $474,500. Close to park, alfresco, chefs kitchen, air-conditioned and solar, full turnkey package except fencing. Central Springs – Home and land packages available from $339,900.